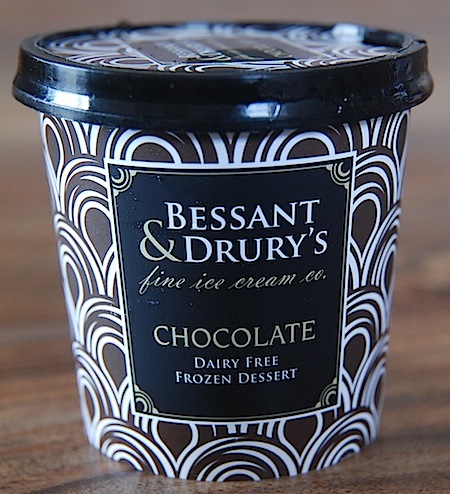 A dairy free frozen dessert in chocolate flavour from Bessant & Drury’s. This is the best flavour i have tried from this company. The chocolate ice cream is lovely, a good chocolatey flavour. It is made with coconut milk and sweetened with apple juice (which you can taste a little). 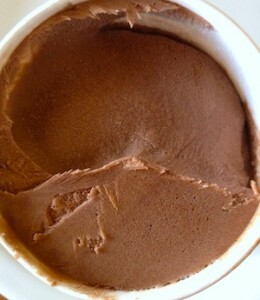 A really nice vegan dessert. Each tub is suitable for vegans and vegetarians. Per 100grams is 169kcal. 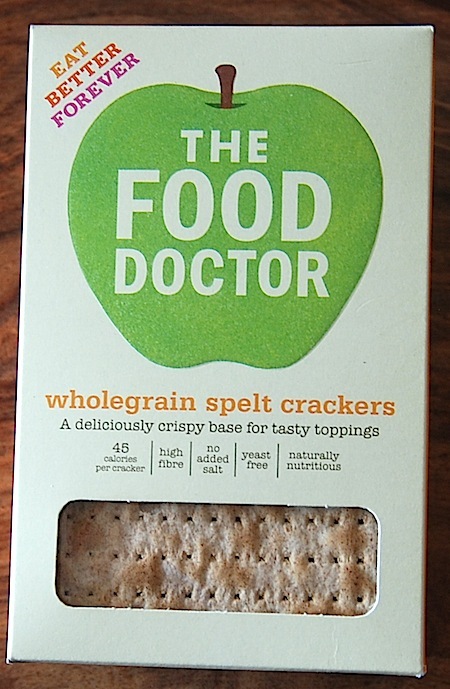 Sold in some health food shops and on line. 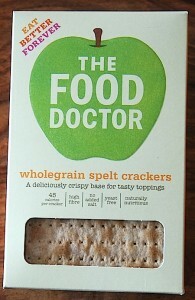 A pack of wholegrain spelt crackers from The Food Doctor. Inside the box are 2 packs of the biggest crackers I have ever seen, over double the size of normal crackers 8cm x 14cm. They look nice so I was looking forward to trying them. 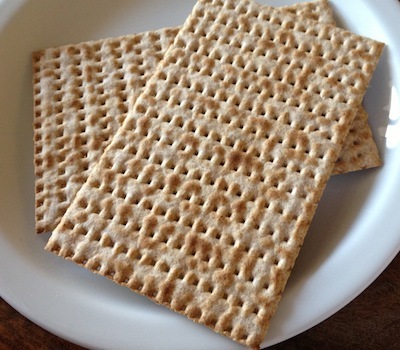 The crackers have a nice soft but crunchy texture and are light. However I think they need a bit of seasoning, as they are totally bland, no toasty flavour or herbs or salt or anything, just bland. It is a real shame because they look good. I had mine with some salad. They would be better with some spreadable pate on to bring some flavour, but on their own they are tasteless. Each 200gram pack of crackers is suitable for vegetarians and vegan as far as I can tell (see faq). Ingredients are wholegrain spelt flour, spelt flour and water. Per cracker is 45kcal. I got mine in Tesco.